The event was followed by a reception featuring local wines and products, many connected with Anne’s clients and friends. Click here to view photos from the event. Professor Sax passed away on March 9, 2014, at the age of 78. He was a thought leader in protecting the public commons, and he will be remembered for his esteemed contributions to environmental law. His lecture was videotaped and you can watch by clicking the video above. Please make sure to click over to watch it on Vimeo. 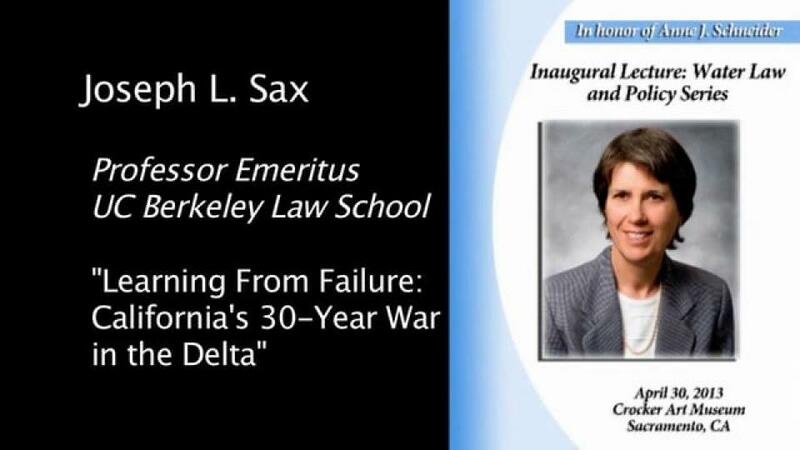 * Please note the video mentions that Professor Sax’s lecture was the inaugural Anne Schneider lecture. It was the second lecture in the series.